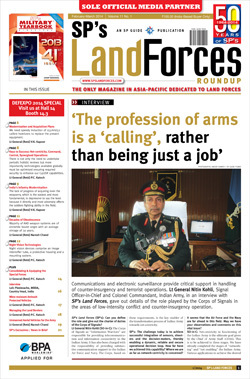 Lt General Nitin Kohli, Signal Officer-in-Chief and Colonel Commandant, Indian Army, in an interview with SP’s Land Forces, gave out details of the role played by the Corps of Signals in the areas of low-intensity conflict and counter-insurgency operation. We need speedy induction of 155mm/52-calibre howitzers to replace the present equipment. 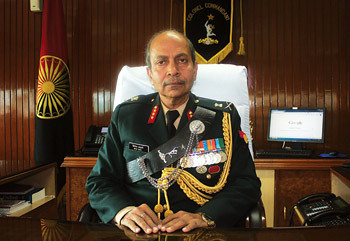 The lack of progress in acquiring even the weaponry, which is the easiest and most fundamental, is depressive to say the least because it directly and most adversely affects the soldiers fighting ability in the field. Majority of AAD weapon systems are of erstwhile Soviet origin with an average vintage of 30 years. Night vision devices (NVDs) comprise an image intensifier tube, a protective housing and a mounting system. A global race to develop UAVs is on and as per one estimate, global spending on UAVs is likely to be more than $94 billion by 2021. There is not only the need to undertake periodic holistic reviews but more importantly technologies available globally must be optimised ensuring required security to enhance our C4I2SR capabilities. Internal disturbance has claimed more lives of India’s security personnel than the counter-terrorism and counter-insurgency operations in the country. After successfully demonstrating the first prototype of the Arjun Catapuly system to the Indian Army during automotive and firing trials in 2012, the DRDO is now all set to unveil the system for the first time at Defexpo 2014. Swedish firm Saab, fresh after the delight of winning a major fighter competition in Brazil, will be fielding its largest yet team and display this year at Defexpo 2014.